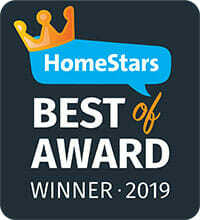 Founded in 1989 by brothers Bill and Keith Carroll, Lifestyle Home Products proudly serves homeowners across Ontario, Canada. 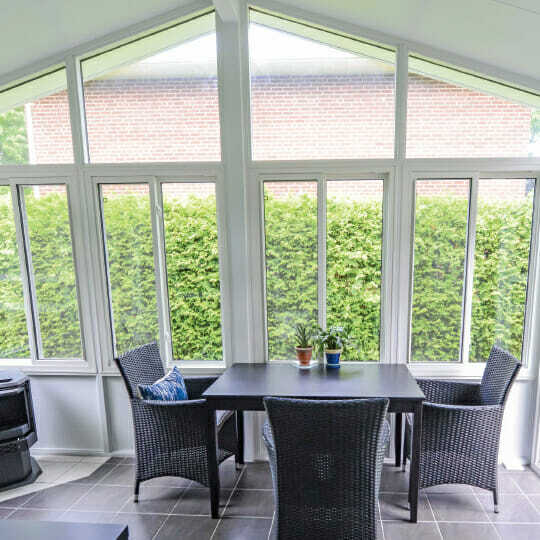 We manufacture high-quality, three- and four-season sunrooms and porch enclosures, as well as energy-efficient, vinyl replacement windows and fiberglass exterior doors in our state-of-the-art factory in Peterborough. We also provide full bathtub and walk-in shower renovations, lifetime metal roofing shingles, and retractable awnings. At Lifestyle, we proudly stand behind our products. We take care of each project from start to finish for a quality and worry-free installation that’s guaranteed to last a lifetime. You won’t pay box store or retail markups when you purchase factory direct from Lifestyle Home Products. Should you choose our vinyl windows, an exterior door system, three- or four-season sunroom, or any other product from Lifestyle, we will take care of all the details, providing a free in-home consultation and no-obligation estimate. You are also welcome to come see our factory. Every Lifestyle lifetime product we produce in our 150,000 sq. ft. factory in Peterborough, Ontario, meets rigid quality testing and energy efficiency standards. 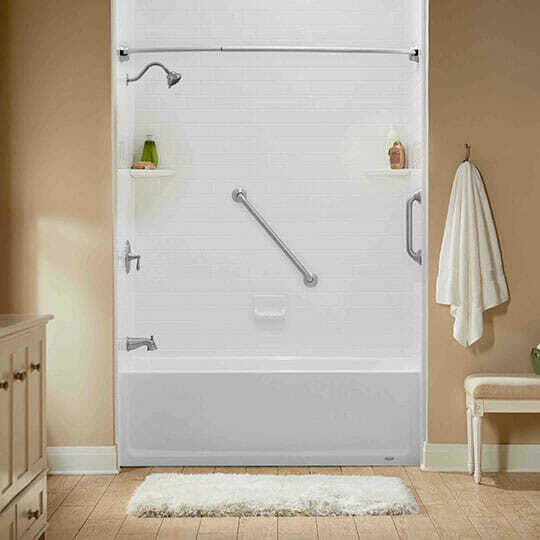 Lifestyle Home Products installs custom showers and bathtubs that are long lasting, easy to maintain, and safe to use. We can replace your tub with a sparkling new soaker tub and wall surround. Or, we can install a new walk-in shower that is customized just for you. If you or a loved one require a bath that offers the best in safety, luxury, and comfort, we can even provide a Jacuzzi® walk-in tub customized to fit your bathroom’s dimensions. A Lifestyle bathtub or shower installation will mean that your bathroom renovation will be completed to suit your preferences. You can also rest assured that your bath installation will be performed quickly, with quality and expertise at the forefront. Need new vinyl windows for your home? You can depend on Lifestyle’s premium quality, CSA®-certified, ENERGY STAR®-validated and harmonized tested replacement windows. They perform superbly year after year. 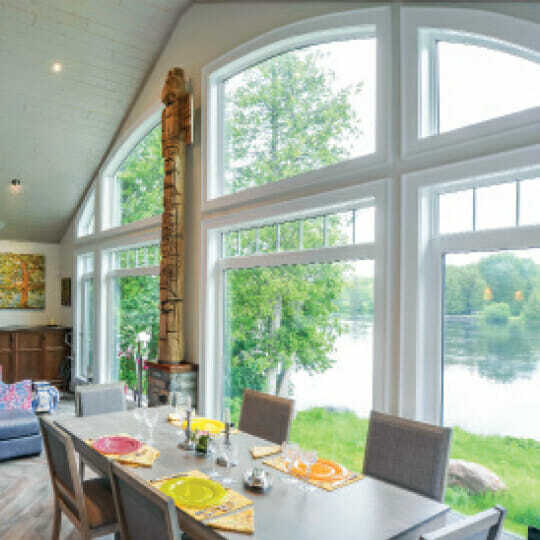 All of our windows are created to the highest standards at our Peterborough, Ontario, factory – and we offer a wide variety of styles to suit every need. Among our selection are double-hung, single-hung, sliding, casement, awning, bay or bow options, as well as a number of customized window solutions. Plus, we offer the best of North American Roto™ hardware, an array of window casing colours, and a variety of grilles to enhance both the interior and exterior look of your home. At Lifestyle Home Products, we craft custom doors that make a great first impression – and are built to last. Our signature, foam-injected vinyl frames are 100 percent maintenance free. They are also easy to clean, stronger than wood, and resistant to scratches and dents. Plus, they will not rot, warp, or take on moisture over time. All frames are also metal reinforced for added strength and security. 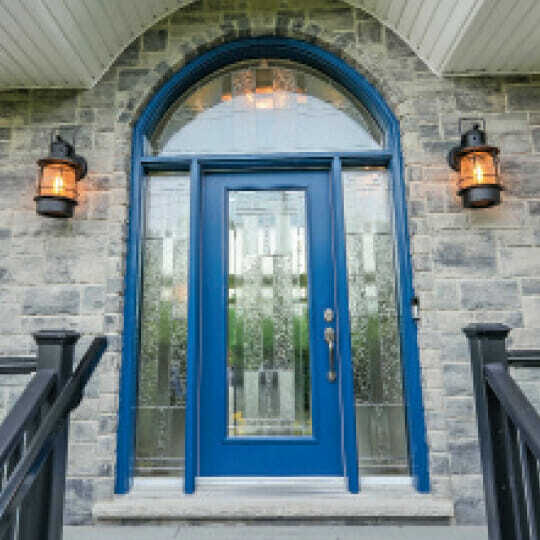 Select a solid door style – or mix and match with a glass insert and/or sidelight panels and upper transoms. You can choose from our vast array of designer colours so your door perfectly complements your home. Want the look of real wood? Lifestyle’s premium quality fiberglass doors can be customized with oak, mahogany, and smooth skin appearances to provide lasting beauty. Let us achieve the look you want from our oak, mahogany, cherry, teak, and walnut stain palette. 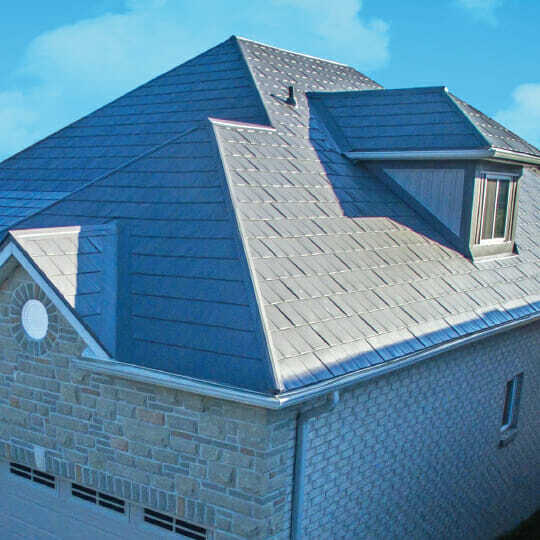 Lifestyle metal roofing shingles can last up to five times longer than asphalt shingles. Available in a wide range of appealing colours, our metal roofing shingles help to increase the resale value of your home. They are also extremely durable in the face of wind storms and in extreme cold or heat. Lightweight yet extremely durable, these shingles can be installed over your existing asphalt shingles, saving you the expense of removing the old shingles, disposing of them, and carting them to a landfill. Best of all, we’ll take care of the installation for you and provide you with a transferable 50-year warranty.